Looks like this is a lot of fun! How to play it? Get on your feet and step outside to find and catch wild Pokémon. Explore cities and towns where you live—and even around the globe—to capture as many Pokémon as you can. As you walk through the real world, your smartphone will vibrate to let you know you’re near a Pokémon. Once you’ve encountered a Pokémon, take aim on your smartphone’s touch screen and throw a Poké Ball to catch it. Be careful when you try to catch it, or it might run away! Like the (real) fictional Pokémon Trainers, every player’s goal is to collect all of the available Pokémon species which can be found in the real-world locations. Ang cool! You’re like travelling between real and virtual world. Can’t wait to play it but!!! It is not available yet in my country (The Philippines!) but it’s coming very soon! So be sure your phone is ready when Pokemon Go is rolled out. Intel CPUs are not supported. ARM chipset only. 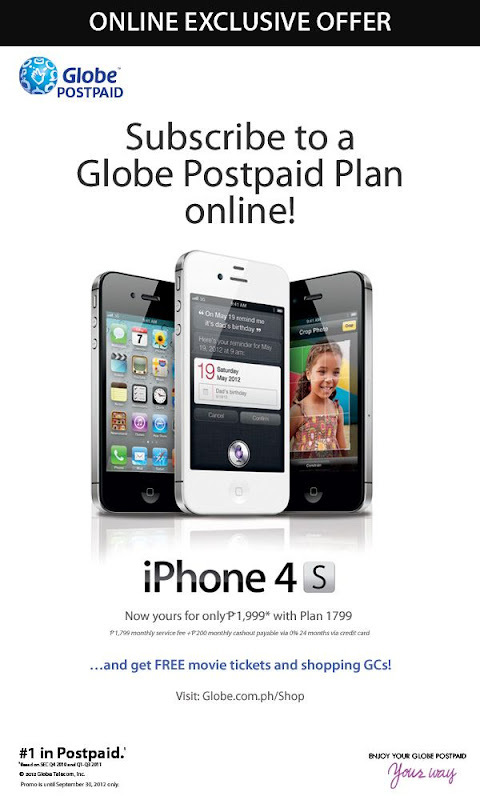 I recently switched to a low maintenance handphone and have no plans in upgrading it any time soon. By low maintenance I mean call and text type of phone only with special participation of FM stations lol! PAANO TO? I wanna play this so bad! 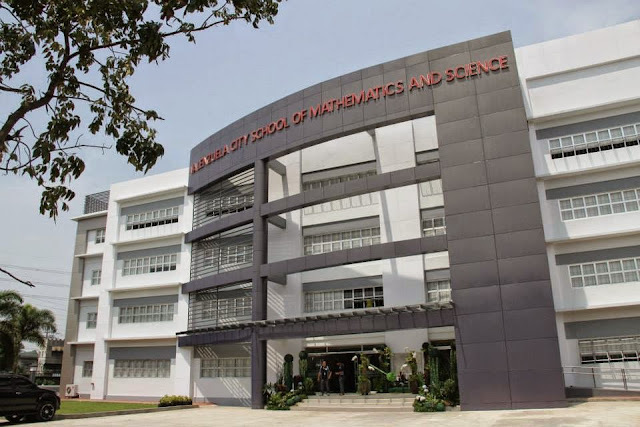 Welcome to the Valenzuela City School of Mathematics and Science, where Valenzuela City nurtures its future. 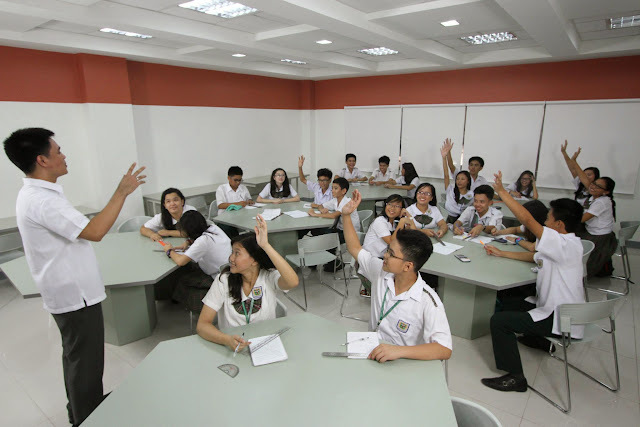 From the old science high school, having only 13 classroom and one science laboratory, the new Valenzuela City School of Mathematics and Science is equipped with 20 spacious classrooms which will only hold from 35 to 40 students per section. 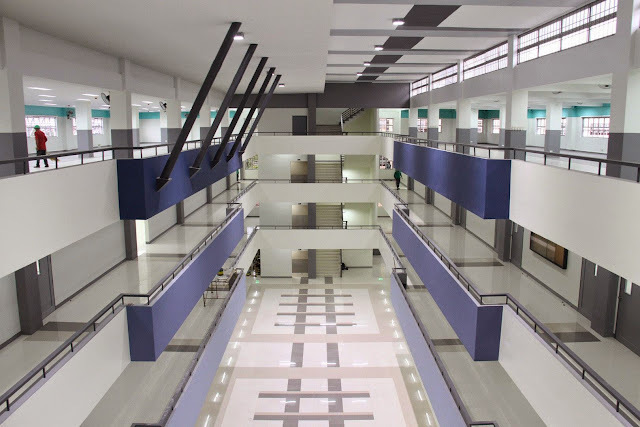 This four-storey, 20-classroom edifice is envisioned to be the cradle of Philippine society’s future trailblazers. On its 7,200-square-meter floor they will take their first steps towards greatness. This school has been built as a city government project under its Education 360-Degree Investment Program. VALMASCI provides students and teachers alike, the most comfortable learning environment. At a floor area of 63 square meters, each classroom can comfortably seat 40 students. This 126-meter fully furnished Chem Lab consists of chemical resistant top or chemtop workstations with gas lines and faucets, and can individually seat up to 40 students. 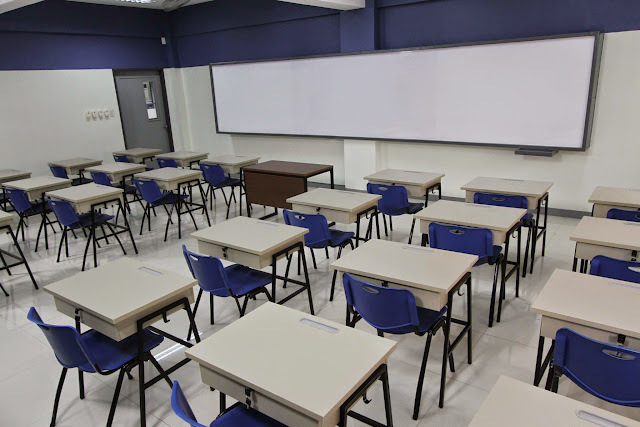 It has a separate lecture room that has a mounted whiteboard for offline lectures, and an Interactive Smartboards or Whiteboards which are also installed in other specialty learning labs. Since the safety and health of students are of paramount importance, the Chem Lab has built-in safety mechanisms installed: a Fume Hood Assembly with exhaust that will enable students to handle hazardous chemicals in a contained environment, a Safety Shower with eye wash station that can be used during accidental chemical spills and a well-stocked Wall Mounted First Aid Kit to immediately treat wounds of students arising from experimental emergencies. This is where students will do all their group work. Take a look at that whiteboard. 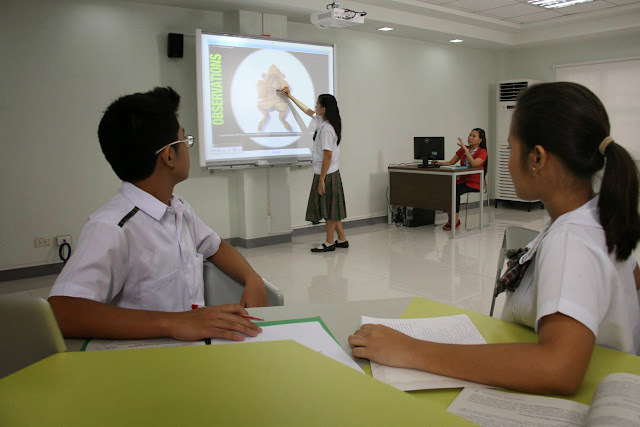 That is not your run-of-the-mill whiteboard; that is an interactive Smartboard that functions as an electronic whiteboard and a computer screen. No, you can’t use a marker on it. It comes with a stylus. Each of the six laboratories we saw at the first floor has Smartboards. The Computer Room holds 40 workstations allotted for students and one central workstation for the professor. Installed with licensed Windows 7 Professional Operating System and with the latest Microsoft Office software package, the Intel i3 4 Gig workstations are powerful enough to withstand enormous graphics applications like Corel and Adobe Photoshop. These advanced creative softwares are to be covered in the students’ Computer classes. Aside from the latest hardware specifications of the computer sets, all workstations have dedicated LAN ports, making this facility hard-wired for fastest internet connection experience. VALMASCI students may do most of their reading on the Internet most of the time now, but nothing beats the pleasure of reading a good old book. 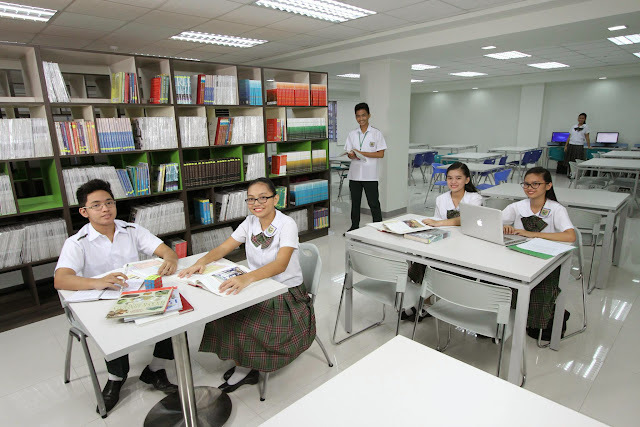 The Mathematics Laboratory is especially designed to be the finest training room in campus for sharpening and harnessing competent and achiever students who usually compete in national and international math quiz bowls, mathletes, math wizards, and math olympiads. This Math lab can accommodate 40 persons. The Physics and Robotics Laboratory is where students can drop apples to the ground and study Newton’s laws of gravity, put up planks and explore the ideas behind motion, force and energy, and discover surface tensions or the reason why it hurts a lot when you land on your back in the pool, and other cool stuff brought to us by Physics experiments. The Physics and Robotics Laboratory has specifically designed chemtop workstations provided with electrical outlets while the double sink cabinets that carry the water lines have been separated and put away from the electric sockets to ensure safety of student. We do not want any students to be electrocuted while doing electric and physics-related experiments. Like the state-of-the-art Chem and Bio Labs, this lab has carefully installed Safety Shower and Eye wash Station and Wall Mounted First Aid Box as safety mechanisms, and the Interactive Smartboards for a conducive and engaging lectures and discussions. This is where students can effectively practice their diction, intonation, and speech while teachers can effectively facilitate and guide in the interactive learning of the English language. 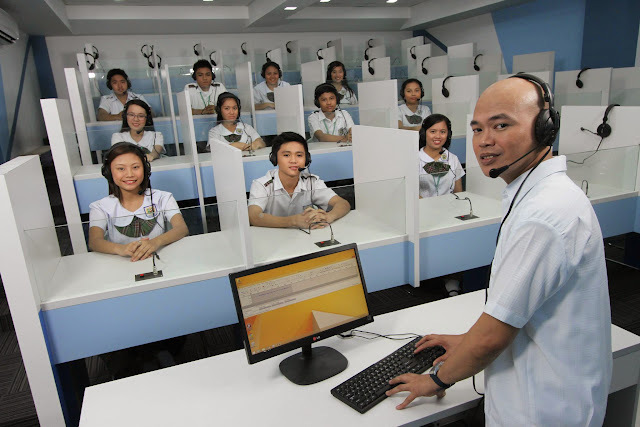 The air-conditioned facility with individual speech stations can accommodate up to 35 students. The central language development equipment consists of a powerful Intel i3 and 4 gig memory CPU installed with specially designed speech lab control software. It has state-of-the-art speaker system, complete with sound mixer, sound limiter, and power amplifier in case students and teachers may have difficulty in hearing each other. 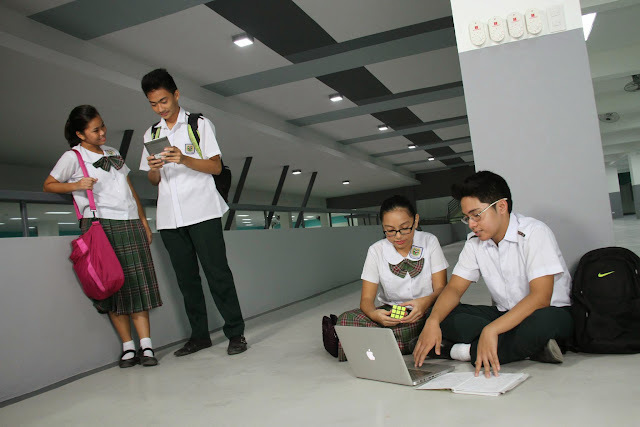 The entire campus is also a WIFI zone, a vantage point of the finest learning facilities in this technological age. 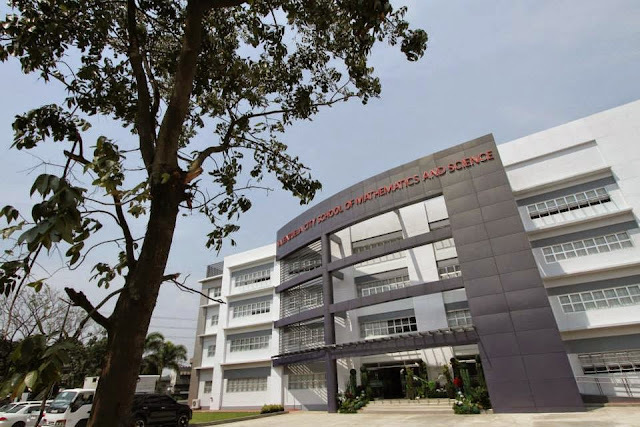 Building this “crown jewel” of the local educational system cost the city government Php 199M, which included site development, building construction, equipment and furniture. To be admitted in ValMaSci, the applicant must be a resident of the city; must not have a grade in any subject lower than 85; and must pass the admission exam. The top two students of each graduating elementary batch are exempted from taking the exam. 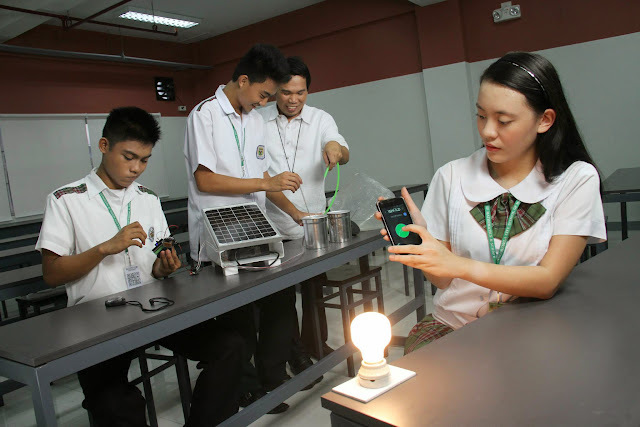 The ValMaSci curriculum is composed largely of advanced science and mathematics subjects. Of the 13 subjects in every year level, four are science and mathematics subjects. For someone who was born and raised in Valenzuela City, this is something truly remarkable, impressive and admirable. Thank you Valenzuela City government and Valenzuela taxpayers! Kudos to Mayor for all the initiatives. Their website loads a little bit slow compared to my other domain providers (I also have domains from godaddy and ploghost) but it’s ok.
Hopefully next year, their renewal fee wont be very very expensive. 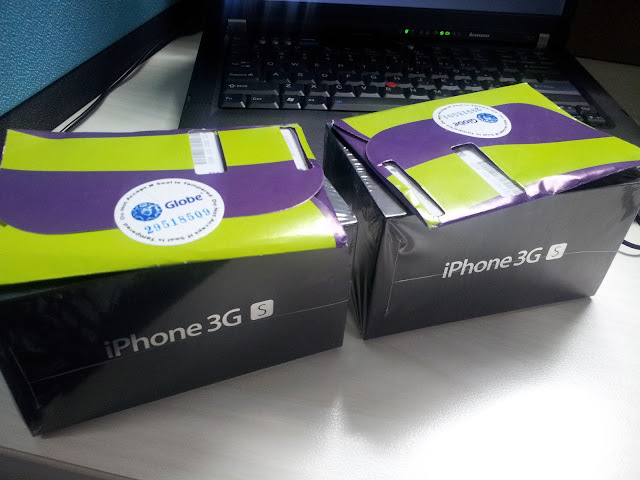 For Sale: Brand New iPhone 3GS, Cheap Price! Not bad for a price of 12K! Market price is 18K as of today. Kindly contact Robert for more info. UPDATE: ITEM SOLD. Thank you to everyone who inquired and sent text messages. I absolutely love my 16.4 inches Sony VAIO laptop! It’s perfect for the kind of lifestyle I have. I specially like the huge screen display it offers, perfect when watching movies! It’s still functioning well, although its performance has become a little bit slow compared to when I first had it 4 years ago. I have loads of programs, videos and pictures and some office files and I have never done any kind of disk maintenance/defrag on it, ever! If I have time this weekend, I’ll do it to speed up my computer. It’s not an easy task, ok. Defragging usually takes hours to finish, so given there are tons of files inside, it could take me maybe 10hrs or more. Wish me luck! DO I NEED IT? DO I HAVE ENOUGH MONEY TO SUSTAIN THE LIFESTYLE I WANT TO LIVE? If you’re not very confident about your answer…forget about this and move on! If you badly want something…blog about it and work hard to get it! I want an iPad for myself and for my sister Inday so we could facetime any time we want. Missing everyone back home esp. my cutie little niece Bebe Julia! Yaay. I’ve only been a laptop-user for 4 years and it seems that laptops are slowly being phased out in favor of tablets and smartphones. Haaay, so sad for George. I might be disposing him anytime soon. I waaaaant a tablet! I’m already caught between iPad and Galaxy tab and now here comes another. Can’t decide which one to buy later. Later as in 5 years later lols. One thing I like about this surface tab is its cover that functions as a touchscreen keyboard as well. Saves you cash from buying separate accessories. I say it’s a smart idea. I like it because I can use it well when I’m blogging or doing freelance jobs anywhere. BUT! How are you supposed to hold it while the cover is open? You can’t flip the cover 360 deg, can you? Flawed!!! 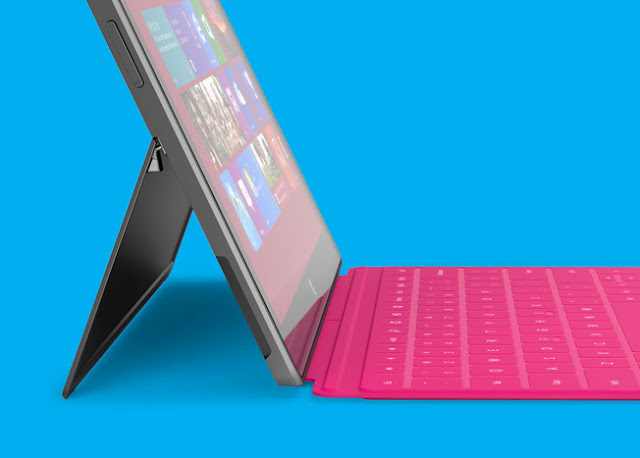 Other than the cover/keyboard, I don’t know how else this Surface tab is any better than iPad and Galaxy. Is it faster? Does it have a better screen display? We’ll know in the coming days. One thing I’m sure, looks-wise, iPad is still prettier. 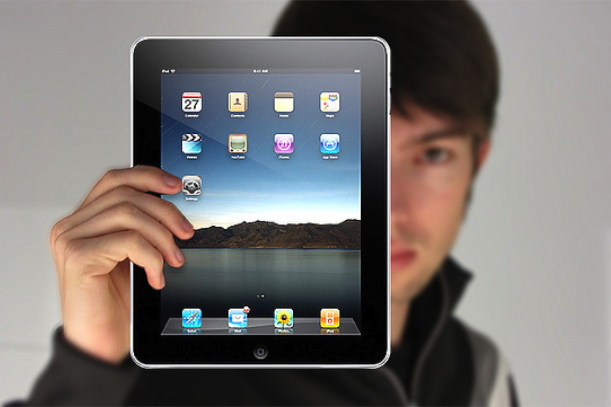 So what do you think of this new tablet? Are you buying? Although I want a tablet soooo bad, still, nothing comes close to my Sony VAIO laptop!!! It’s still the best! Where to buy a Sony Vaio Laptop Adapter Charger? I honestly don’t know how to survive without my laptop and internet connection. My life depends so much on them! I feel sometimes that I value my laptop more than anything else, charot. Haaay I have a feeling that this true story is going to give me a lot of headache. So this morning, I called Sony Gateway Branch 9113910 to inquire if they sell an AC Adapter VGP-AC19V19 for FW series Sony VAIO, she referred me to Sony Megamall 6383767, the lady told me to contact Sony Service Center 3301111, finally, after waiting for a few mins, I got to talk to Manilyn, she told me to go straight to the nearest service center. P. Tuazon St. cor. 20th Ave.
It’s price range is between 8,000 – 10,000. What the helllllllll! What the hellllll talaga! That adapter VGP-AC19V19 is 8K??? Freaking 8000 for just an adapter!!! I can buy a house and lot with that money (haha ang OA). Haaaayyy so the plan to buy my new Samsung SII is going to be set aside for now. In case you don’t know, FarmVille is a fun game in facebook where you can plow, plant and harvest crops, you can also buy buildings, decorations and various animals to grow your farm. The main idea is to earn lots of money by planting (fruits, seeds, veggies, trees and pretty flowers) and acquiring various types of animals (even penguins and elephants too hahaha) – each of these have different selling price and time to harvest. I have resisted the temptation of playing this game for the longest time, because I know that they can be very addicting, but looks like there’s no stopping me now. I am a little late for saying this but I am crazy about Farmville!!! My thoughts are filled with FV even when I’m at work LOL. Right after a stressful day at work, I go home and plant like there’s no tomorrow hahaha! It’s crazy how those trees make me really happy. Really. What’s more fun about FarmVille is that you can create cool designs in your farm. This is the part which I am very excited about. I want to build a not-so-big farm someday where I can plant organic vegetable, pretty flowers, mango and lanzones trees. Playing this game is making me live that dream. To date, I am now on level 26 with 250K. Argh! How I wish those money can be converted to cash! I hope for the day when one can make money thru Farmville! I know that you make money from playing at online casinos, yes it is possible, there are lots of casino gaming sites offering different money opprotunities. If you want to try your luck at winning slots, check out detailed reviews at onlinecasinoproject, who knows, you could walk away with the jackpot prize! How would you like it if Zynga could turn FV into a money making game portal? I like the idea! It’ll be very very cool if I could encash my 250K LOLs.